the horse is most important, it's true. 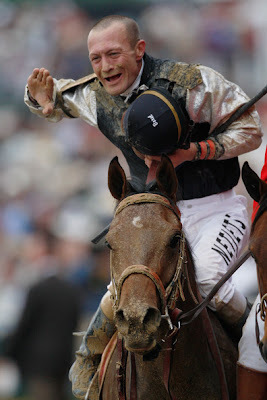 but you give calvin borel a decent mount & he's more often than not gonna take it. yep, ima borelist. he likes mud too, & this year's a dern mess. 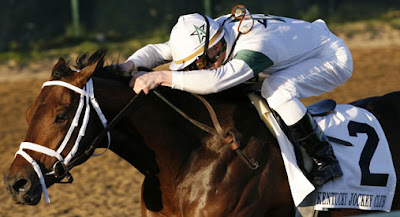 he won last year on the longshot, mine that bird (pic above). he's on super saver this year. it's my prediction the cajun's gonna take it.